Consider the advantages of dealing with a local service provider that can offer friendly personalized service and a total commitment to your needs. 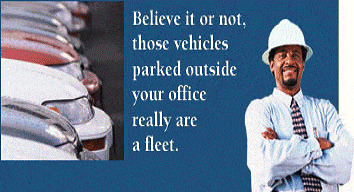 At Quality 1 Auto Service our fleet service is tops -- we provide prompt, expert services, repairs and maintenance. Here are just some of the advantages Quality 1 Auto Service can offer your business. Your drivers deal with the owner of the repair facility. Quality 1 Auto Service is locally owned and operated, where friendly personal service isn't just a promise - it's a reality. To assure customers of the best job possible all repairs are guaranteed in writing, for 12 months or 12,000 miles, whichever comes first, on parts AND labor. To the best of our knowledge, Quality 1 Auto Service is the only shop in the industry offering such a complete and long guarantee on all repair work we perform*. Only fully qualified, highly-skilled technicians work on your automobile. They are ASE certified and are regularly trained to ensure they are fully updated on all new models through service bulletins and regular workshop clinics. At Quality 1 Auto Service we understand business is about reducing costs. We offer competitive costs and Guaranteed Servicing on all makes and models. Fully itemized Service reports and invoices. Return of used parts for total peace of mind. We take great pride in our work and want the results to be to your satisfaction. For that reason we offer a limited warranty on all work we performed on this Work Order for TWELVE MONTHS / 12,000 MILES*, whichever comes first, subject to the terms shown below, unless stated otherwise in writing on the Work-Order. If during the warranty period there is a failure or incorrect operation of this vehicle due to a part we installed or labor we performed we will, upon delivery of the vehicle to our usual place of business, repair or replace the defective part or rework the labor at no additional charge. This warranty applies only to the original purchaser of the product or service. This warranty applies only to the actual work listed and parts installed on this Work Order. No other warranty is implied or expressed. This warranty does not cover towing, storage, car rental, or any consequential or incidental damages, including damage to property, damage for loss of use, loss of time, loss of profit or income, which may be incurred as a result of defective parts or workmanship. Quality 1 Auto Service will not be liable for any costs or charges incurred at other facilities without our express consent. Warranty will be voided by overheating, lack of lubrication, off road use by non-off-road vehicles, misuse, negligence, failure to perform normal or required maintenance, abuse, modification of completed work, or the removal of any recording devices installed for monitoring purposes. Damage of any components due to contaminated fuels or lubricants will not be covered under the terms of this warranty. Future maintenance/servicing costs are not included in this Work Order unless so stated in writing. This warranty does not cover any repairs or replacement which are covered by manufacturers warranties or other warranties in effect at the time of failure or malfunctions. This warranty is governed by California law as shown below. A buyer of this product in California has the right to have this product serviced or repaired during the warranty period. The warranty period will be extended for the number of whole days that the product has been out of the buyer's hands for warranty repairs. If a defect exists within the warranty period the warranty will not expire until the defect has been fixed. The warranty period will also be extended if the warranty repairs have not been performed due to delays caused by circumstances beyond the control of the buyer, or if the warranty repairs did not remedy the defect and the buyer notifies the manufacturer of seller of the failure of the repairs within 60 days after they were completed. If, after a reasonable number of attempts, the defect has not been fixed, the buyer may return this product for a replacement or a refund subject, in either case, to deduction of a reasonable charge for usage. This time extension does not affect the protections or remedies the buyer has under other laws. * Excludes brake pads and shoes (some of our “speed racer” customers can actually wear out a set of brakes in less that 12,000 miles).